M & B Aviation, LLC. 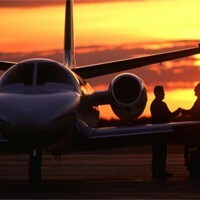 has established an excellent reputation with our existing clients for aircraft management.We offer a totally confidential service to manage your aircraft, whether it is a light single or an executive jet, giving you the benefits of aircraft ownership but using our expertise for the day to day management. We have a specialized team of professionals in all areas of operation, including federal regulatory control, dispatch, maintenance and crewing. We work on your behalf to bring the full force of our technical expertise in all areas of aircraft operation. Any luxury or amenity you desire. Elect to turn your aircraft’s idle time into revenue for you by allowing your aircraft to become a part of M&B Aviation charter operations. An extensive marketing program professionally promotes your aircraft to a large retail charter client base built from more than 35 years of leading the private jet charter business. We also receive thousands of flight requests from other operators, brokers, and corporate flight departments. we offer, please contact us.